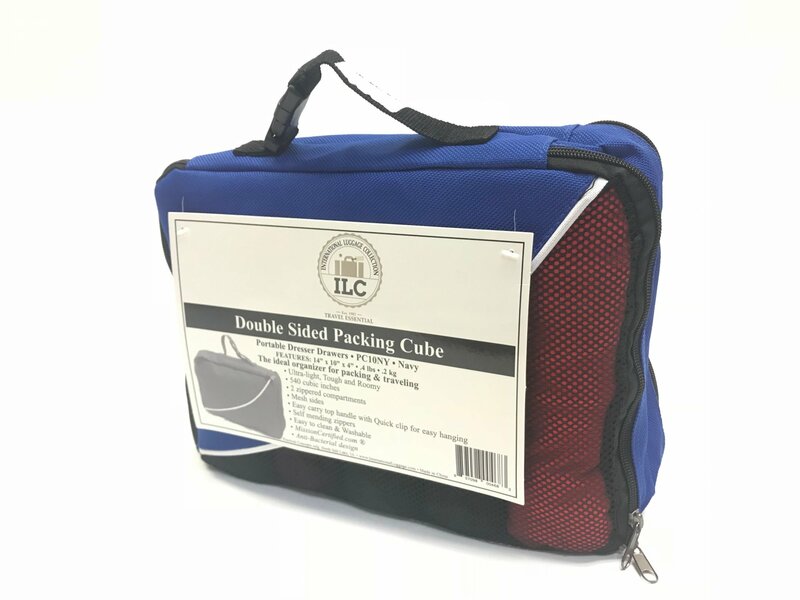 Double Sided Deluxe Packing Cubes the ideal organizer for packing and travel. Excellent to keep your underwear, workout clothes, socks, swimming suits, and other items organized. Quickly transfer items from suitcase to drawer or closet with ease! From International Luggage - Perfect for Missionaries and situations where closet or drawer space is lacking. Great for undergarments, socks, swimming suit, or other items. Quickly transfer items from suitcase to drawer or closet with ease! Perfect as a Travel Size Temple Case! !